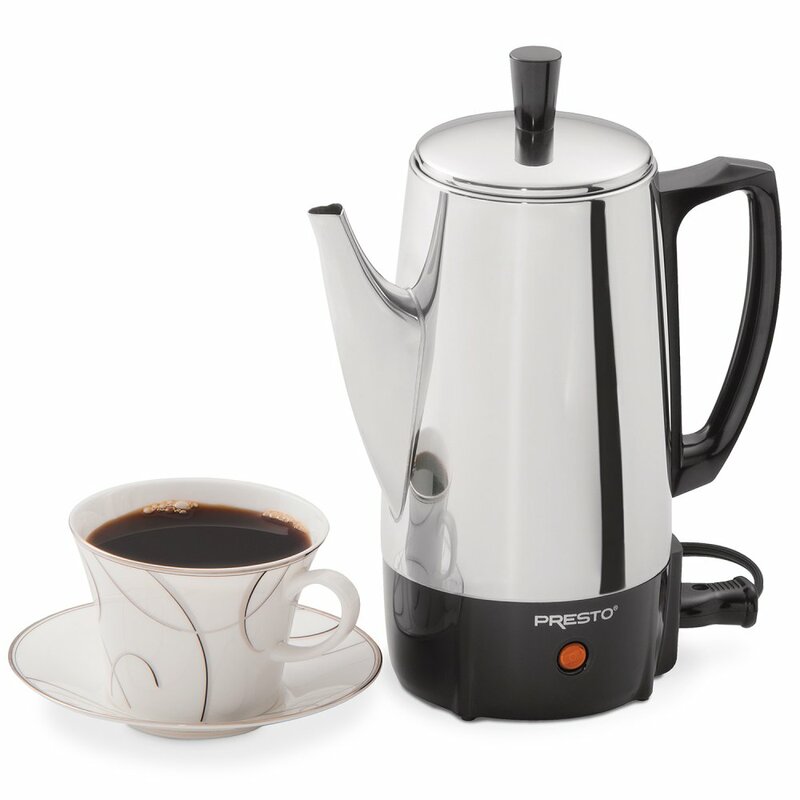 Makes 2 to 6 cups of great tasting coffee, fast. Brews 2 to 6 cups of coffee fast, then keeps it piping hot automatically. Luxurious stainless steel for easy cleaning and lasting beauty. Made of durable stainless steel including the filter basket and perk tube.